SHANGHAI, 28 June 2017 – ESET, a global pioneer in proactive IT security, will be participating in the upcoming GSMA Mobile World Congress (MWC) in Shanghai, China from 28 June to 1 July 2017. Bringing together the worldwide mobile industry from C-level mobile executives to tech-savvy consumers every year, MWC Shanghai is Asia’s biggest and most highly-anticipated mobile event. ESET will share key product developments at the W2 industry hall, exhibition booth E01 at the event. In the global WannaCryptor ransomware attack, China was one of the 5 countries topping the list of where the attacks came from most often. In addition, a talking Android ransomware arising from the Jisut malware family which is most widespread in China, infected users and attempted to elicit users’ credentials for the Chinese social network QQ. Given this recent spate of attacks targeting the Chinese market, users need to be increasingly vigilant and build up their cyber defences to fend off malicious attacks. · A new update to ESET’s Mobile Device Management for iOS, which now allows Apple users to configure security-related iOS device settings from a single point, without the need for the app to be installed on each iOS device. · A new Chinese language made available for DESlock+, a patented share-key management offering a number of encryption features. · The newly launched ESET Threat Intelligence which predicts and proactively notifies customers of real-time threats targeting their business and enables greater flexibility when adapting to a rapidly changing threat landscape. 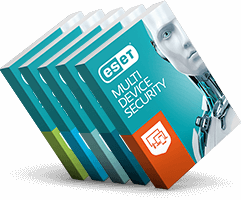 · A powerful mobile-based solution, the ESET Secure Authentication, which secures remote access to company network and data in a hassle-free way by relying on two-factor, one-time password.